It's Friday! Nearly time or the weekend and repotting some plants! I have a few that I needs to get done over the weekend as they are starting to outgrow what they are in. But I have a card and a image to share with you today. 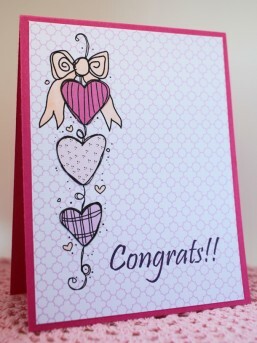 The image that I have used is called Heart String and it just makes me think of wedding cards. But that could be because I have been doen some wedding planning....Oh well. Love it don't you. 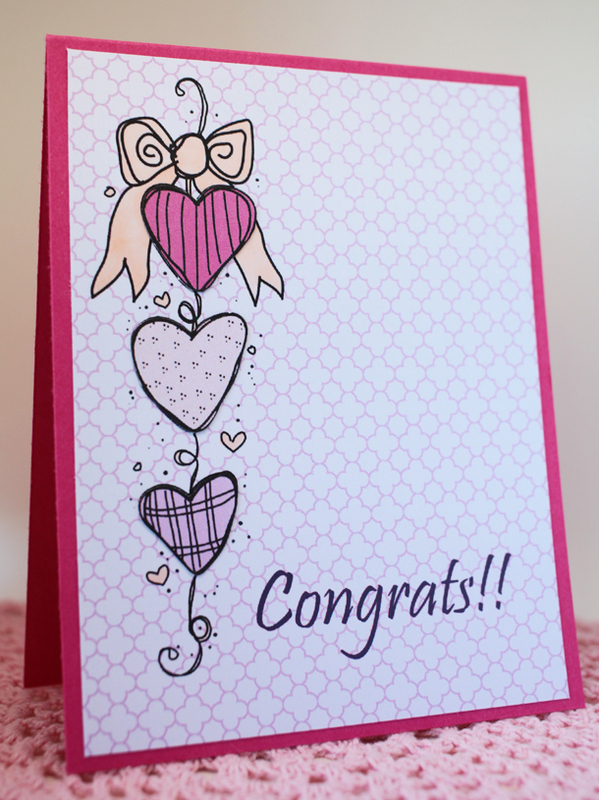 My card today is very pink so bare with me but I enjoyed making it. I did some paper piecing with a few different shades of pink and used one of my favorite fonts that I have. I don't know about you but I love how this has turned out though on looking at it more I could put some glitter on it to give it a bit more sparkle and shine! Oh well live and learn, I hope that you have a fab weekend and I shall see you next week for another Freebie Friday! Beautiful card, thank you for the freebie!